With patent protection until 2034*, unlimited trademark protection and technical copy protection, VitessTM provides you with reliable protection against cylinder and key tampering, along with unbeatable value for the money. The VitessTM system can be extended at any time, giving you the flexibility to make changes at a later stage. The fact that the lock cylinders are developed and produced in Germany guarantees premium quality and a long product service life. The Intop system is a newly developed verification unit on the key and in the cylinder, which prevents an unauthorized key from being used in the locking process. Together with the coded profile rib and multiple paracentric profile, it provides you with effective protection against the illegal copying of keys and door lock tampering. For more information on the complete Vitess™ High Security program as well as pricing, download our comprehensive catalog and price list. ABUS requires a number of forms be filled out and submitted for all customers interested in setting up their own personalized Vitess™ program. All pertinent forms can be downloaded by clicking the image to the left. 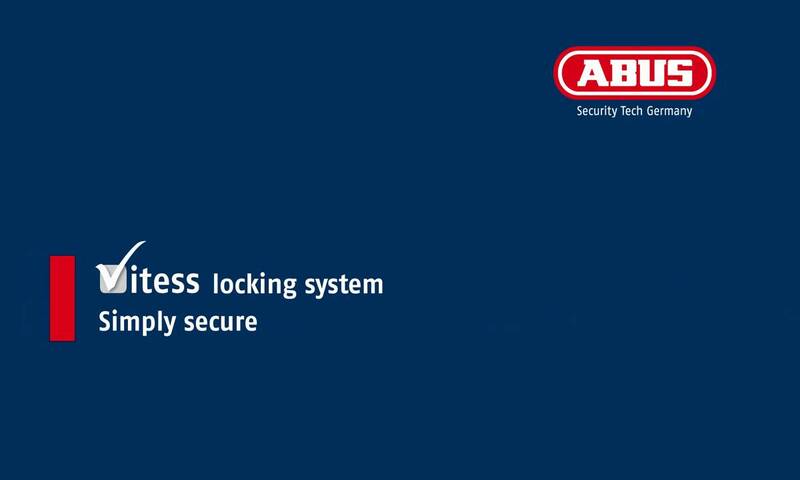 Get in contact with ABUS - we look forward to answering your questions.